3D building model for CBD area are created at 2 levels of detail (LOD). Building heights were captured from 0.3 m resolution stereo images, providing the geometry and precise roof. Height attributes were assigned to each building footprint, calculated from the ground and non-ground LiDAR datasets. The height attribute allowed simple building shapes to be extruded to their derived height attribute, thereby creating models at LOD_2. 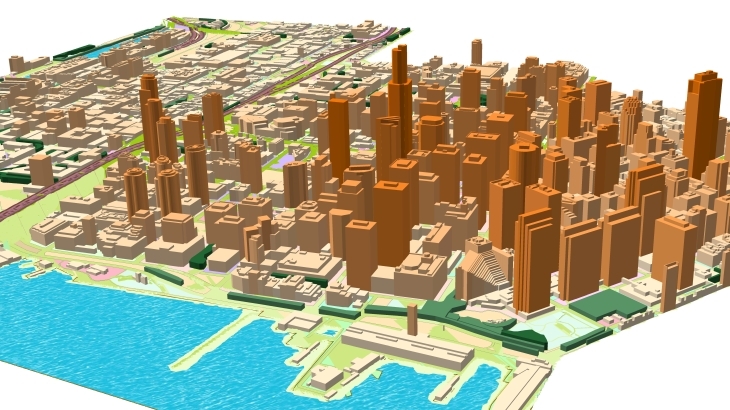 Download the booklet 3D map of San Francisco and free data sample of 3D model of San Francisco to research details.